Acne scars are formed when a breakout penetrates the skin deeply and damages the tissues beneath it. 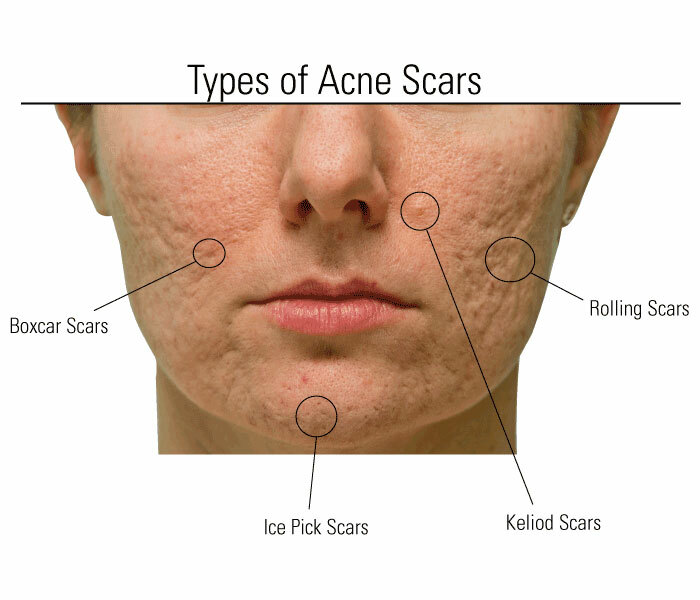 Acne scars can be frustrating, and most of them are permanent. The good news is that acne scars can be treated. There are many treatments that can make them less noticeable. Your skin type and condition are assessed, then an acne scar removal treatment regimen is formulated that may include one or more methods of treatment. The length of your regimen and treatment method depends on the type of acne scars you may have. The treatment options include Micro-needling, customized medical skincare products, and injectable fillers.